MacBooks are wonderful, but your neck can get incredibly sore if you use them on a desktop without a stand — looking down all the time can put stress on your neck muscles and cause pain. 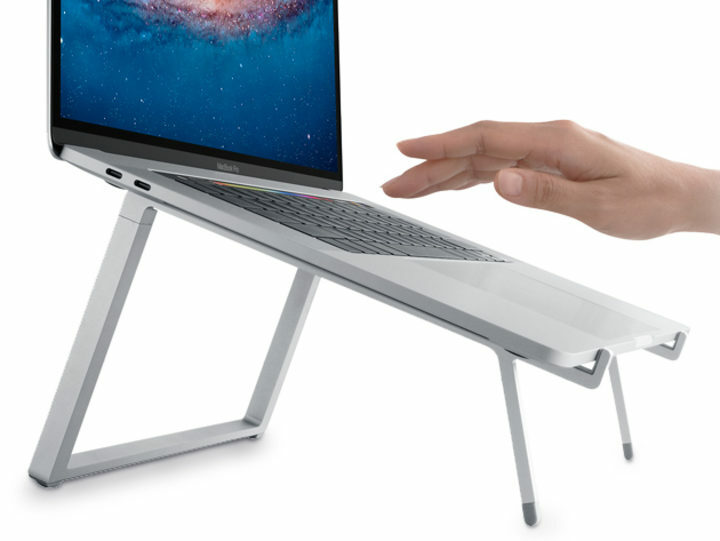 That’s why the geniuses at Rain Design came up with the mBar Pro and Pro+ Foldable Laptop Stands, perfect for placing your MacBook or MacBook Pro at precisely the right height for comfortable viewing. It’s on sale in the Apple World Today Deals Shop for $46.90, 14% off the regular $55 price. The short video above goes through the various models of the mBar that Rain Deign makes; we have both the mBar Pro and mBar Pro+ on sale in silver and space gray. The Pro+ model is slightly more expensive than the Pro — it’s on sale for $57.90, down from the usual $65 price tag. Order now to receive your mBar Pro by the beginning of November.